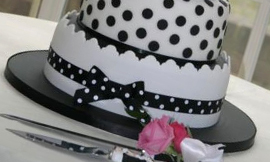 At Jeannette’s Great Cakes I specialise in making beautifully decorated cakes that taste delicious. 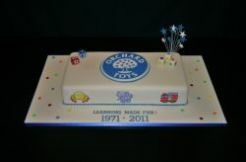 Each cake being individually designed, I can create the focal point to compliment your celebration. It is the opportunity to continue the theme for your special day. With this in mind I offer a bespoke service to clients for all cakes. Operating from home, my aim is to provide a great customer experience from placing your order to seeing the finished cake. 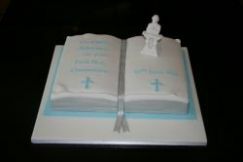 Whether it's a wedding cake, special anniversary, children’s birthday party or Christening my emphasis is on producing a stunning cake using quality ingredients at affordable prices. I hope you enjoy looking at my website. If you require more inspiration, I am always happy to discuss your requirements. I look forward to hearing from you soon, Jeannette. Choose a birthday cake personalised to your theme. A range of styles and designs from traditional, to the elegant and contemporary. Celebrate a success at work with the company branding and logo. Celebrate your anniversary with style and elegance. A selection of designs for Christenings, Confirmations and First Holy Communions. Arranging a baby shower, welcoming a new arrival or passing a driving test, celebrate with a cake !